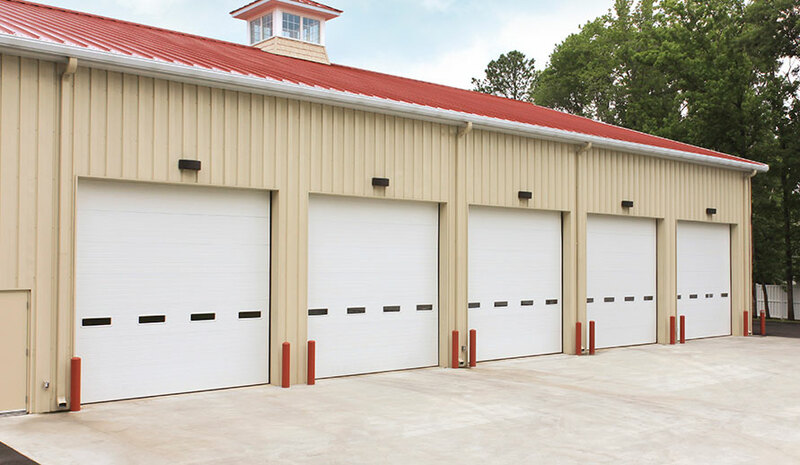 Our premier, thermally broken, polyurethane insulated steel garage doors have it all, providing excellent temperature control, energy efficiency and long-lasting service for a wide range of applications, such as firehouses, warehouses, and municipal buildings. Intellicore® doors come with a variety of options to address your building requirements. Options below are not available on all models.